Five-piece country/roots-rockers The Dungarees take the undeniable lyrical styling, twangy telecaster, and steel guitar they love from classic country and inject it with harmony, modern intensity, and pop sensibility. The Dungarees are an Edmonton super group. All five members have had successful music careers in other well-known local bands before they joined forces and became The Dungarees. Bassist/vocalist James Murdoch was the lead singer for The James Murdoch Band, guitarist/vocalist Robb Angus was in The Wheat Pool from 2005 - 2012, guitarist/vocalist Kiron Jhass was a member of The Uncas, steel player Darrek Anderson performed with Old Reliable, and drummer Ben Shillabeer worked with Social Code and the Boom Chucka Boys. 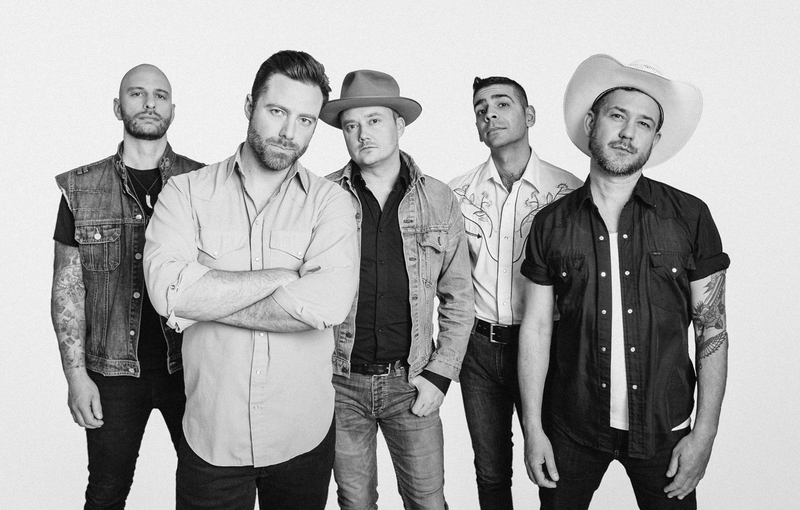 Together they are one of Canada’s fastest rising Country music groups and on Saturday, October 14 they will take a step just 20-minutes west of the city to perform at Horizon Stage in Spruce Grove. No strangers to award nominations and wins - the Dungarees’ 2015 single "Ain't Through Being Happy Yet" won an Edmonton Music Award and the band was nominated for Group of The Year at the 2016 Alberta Country Music Awards. The Dungarees won $100,953 in prize money from Alberta Music’s 2016 Project Wild artist development program and were honored to be shortlisted for multiple 2017 Canadian Country Music Awards - including a Bass Player of the Year nomination for James Murdoch. opened for Blake Shelton, Reba McEntire, Miranda Lambert, and Dwight Yoakam. In October 2016 they helped raise more than $10,000 for the Alberta Cancer Foundation by performing for 24 hours at the Yellowhead Brewery. Opening for the Dungarees at Horizon Stage will be local country singer/songwriter Steve Newsome. Born and raised in southern Alberta Steve now hangs his hat west of Stony Plain. Steve’s proud farm, ranch, and rural past, have given him plenty of inspiration for his songwriting - from pack horses and back country rodeos to making big rig wheels and equipment tracks turn. He has played a number of songwriter showcases throughout Alberta and has shared the stage with Jason McCoy, Jake Mathews, and Adam Gregory. Put on your cowboy hat and boots and rock the night away with The Dungarees and Steve Newsome on October 14! Doors open at 7:15 p.m. and Steve will take the stage at 7:30. Tickets are just $35 for Adults and $30 for Students and Seniors and may be purchased at the City Hall Ticket Centre (315 Jespersen Ave), by phone at 780-962-8995 or 1-888-655-9090, and online at ticketpro.ca. A Toast to Lawrie Seligman.